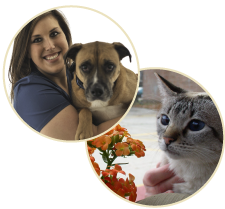 Haley joined Whole Pet in October 2013 as a veterinary technician assistant. She graduated from UW Madison in 2010 with a degree in Zoology and is currently enrolled at the UW Madison School of Veterinary Medicine. Upon her graduation in 2020, she hopes to practice with the same compassion and high-quality medicine she has grown accustomed to here at Whole Pet. In her free time Haley enjoys watching the Badgers, playing volleyball, and hanging out with her dog, Rosco.